The toddler area is bright and spacious, and provided with lots of resources and wonderful areas that enable endless opportunities for the children to explore, create and follow their particular needs. Our flexible environment adapts to the children’s immediate interests and needs, and provides a safe, engaging and diverse range of activities that offer opportunities to carefully manage risks and challenges. Our experienced and enthusiastic team works alongside every parent to provide a smooth settling-in from home to nursery for their child. The individuality of each child is celebrated whilst working with parents in making every child become a happy and confident person. Each child has a Key Person that will plan for their happiness and development. According to individual observations, every child benefits from personal planning that covers all the seven areas of learning that the Government requires (Early Years Foundation Stage). There are indoor and outdoor activities taking place in the morning and in the afternoon, as well as daily trips to our local parks, playgrounds and the River Thames. We are very fortunate to have our own outdoor playground, as well as acres of playing fields and Astroturf football pitches at our disposal, where daily experiences are provided as well. We have a messy play area where many fun experiences happen: we use sand, water, soil, gloop, shaving foam, pasta or jelly baths to encourage exploration of the senses and to aid children’s understanding of the different properties of materials, as well as an art and craft table where the children have the opportunity to investigate and use a variety of media and techniques such as painting, drawing & printing or modelling with paper, junk or clay. The children love to use the role play corner where they have dressing up clothes, hats, bags and hair accessories. Puppets and musical instruments are here too, for all the children to enjoy and experience. 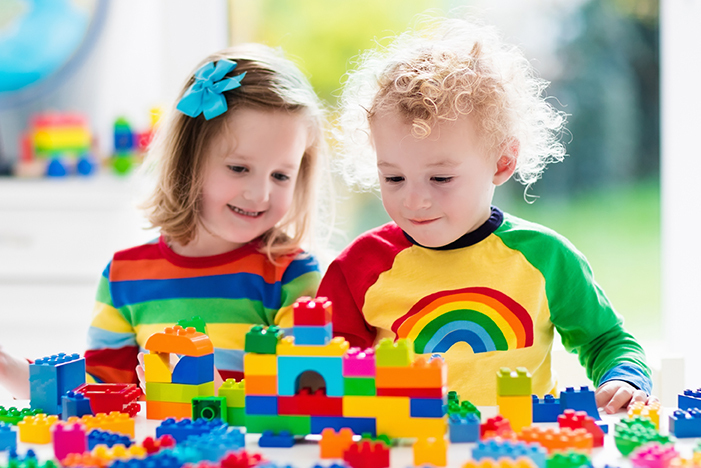 Some of the activities that our toddlers benefit from are: song time, painting, story time, dancing, play dough, musical instruments, sand and water, jigsaw and collage making, playing with bricks and different toy vehicles and dolls. We also believe in bringing the real world to the child so we provide natural materials as often as possible. We enjoy cooking as well. We encourage a partnership with parents and therefore treasure and embrace any contribution parents make to the ‘Learning Journey’, (a folder which every child has, containing observational evidence about their developmental process). In addition to this, every child also has a Daily Diary containing all the relevant information about the current day.